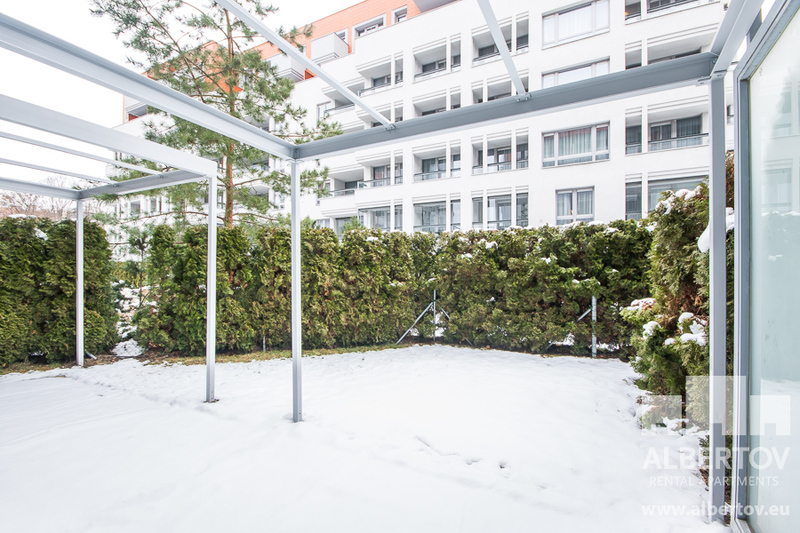 This cozy apartment for rent is located on the ground floor of a residential complex in Albertov Rental Apartmnets. 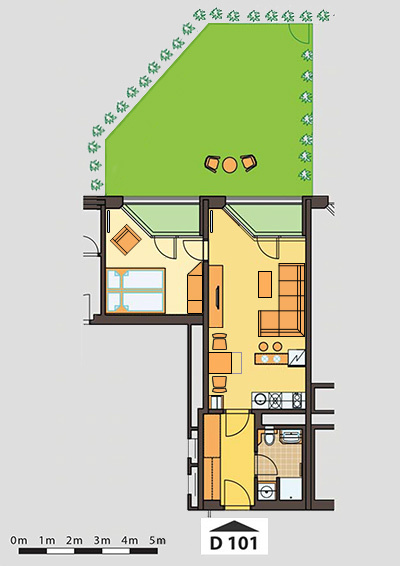 Part of the rental apartment is a spacious garden, that has a direct access from the living room and a bedroom. Fully equipped kitchen is separated from the living room by a bar that includes a wine cooler. High quality wood floors with underfloor heating which gives the apartment comfort. Visitors will highly appreciate the comfortable reclining sofa. Ample storage space is ensured by the cabinets in the hallway. The apartment is located in a quiet neighborhood near the city center.